Car accidents are a leading cause of child injuries and fatalities. However, children do not need to be riding in a vehicle to be injured. There are various car accident injuries that a child can suffer. Children are at a higher risk of pedestrian accidents. If your child walks to school, it is important to review your child’s walking route and educate him or her of pedestrian safety practices. Many children use bicycles to get around and to have fun. However, when children share the road with motor vehicles, then accidents become a real risk. A child should always wear a proper helmet when riding a bicycle. Educate your child on bicycle safety rules. A driver who is backing out of a driveway may not spot a child, and if the vehicle is large such as a SUV or a van, then the child may not be visible in the vehicle’s blind spots. Unfortunately, back-over car accidents are not uncommon and most of them are preventable. Drivers should check around their vehicles for pedestrians before starting the engine. Many vehicles come with a camera that allows drivers to see behind their car when backing up. 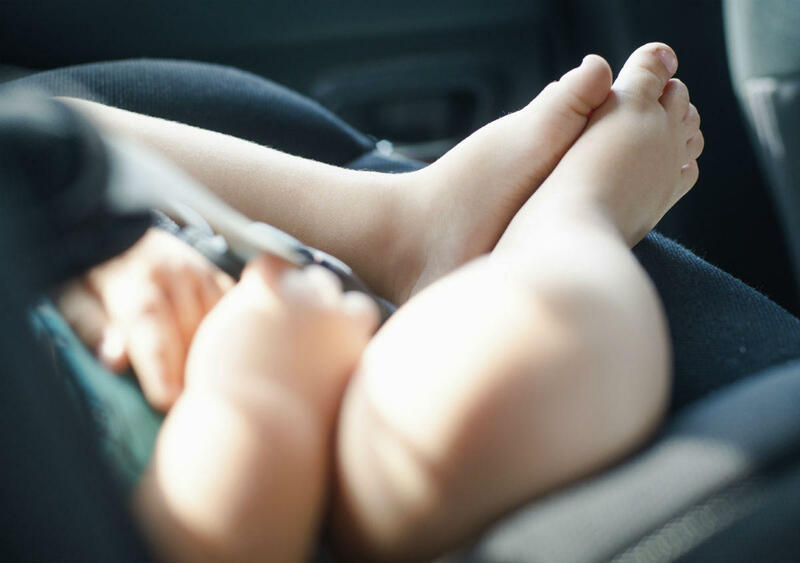 To keep your child safe while traveling, place your child in the backseat and use an age-appropriate safety restraint. Allowing a child to sit in the front of the car with a seatbelt can cause serious injury to the child. In the event of a crash, the seatbelt may cut the child’s face or neck and the airbags can cause head injuries. These are probably the most unfortunate of all injuries, because they are almost always preventable. These injuries involve children who are left behind in a car. The parent or caregiver assumes that the child will be fine for a few minutes. However, when outside temperatures are high, hyperthermia can occur pretty quickly. No matter how many precautions you take to protect your children, unsafe and distracted drivers can still cause an accident. If your child has suffered injuries in an accident caused by an unsafe, aggressive, distracted, or negligent driver, contact a St. Louis automobile accident lawyer to pursue a claim against the at-fault driver. Call The Hoffmann Law Firm, L.L.C. at (314) 361-4242.